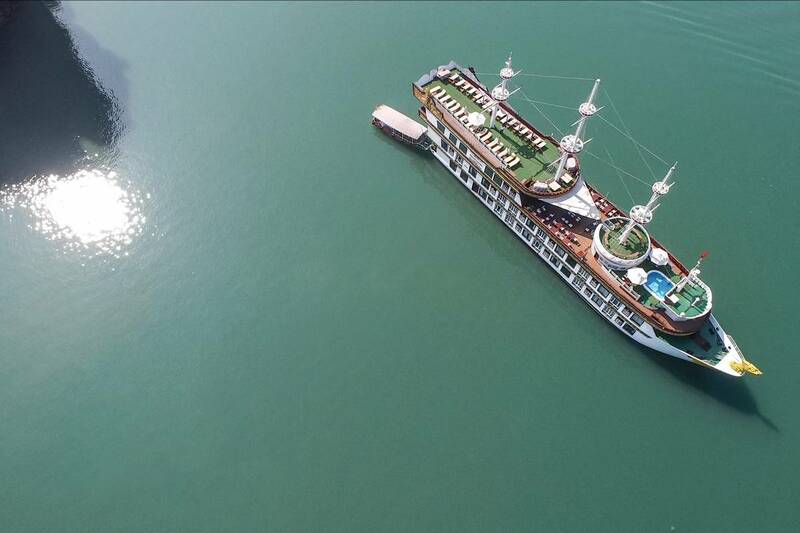 Halong Bay cruise operation is managed and regulated by Halong Bay Management Board. They decide the cruise operation allowance every day for both overnight and day cruise. In the event of bad weather conditions, HALONG BAY MANAGEMENT BOARD RESERVES THE RIGHT TO MAKE FINAL DECISION OF CRUISE CANCELLATION. Reasons for cruise cancellation are usually known as: tropical storms (in summer), foggy weather, tropical monsoon, cyclone, strong wind… (in winter). 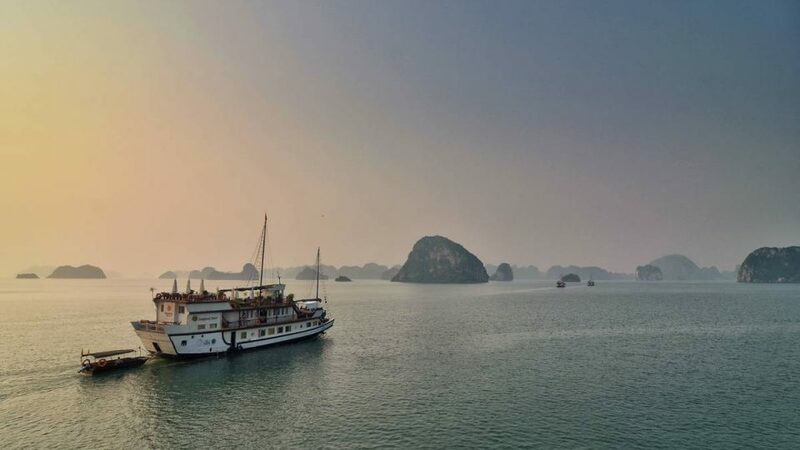 Cruise cancellation is more often in Halong Bay those days and BEING MORE UNPREDICTABLE in accordance with weather conditions during the year. In the event of cruise cancellation, Indochina Junk will inform guest/ travel agents as soon as possible for detail of cancellation risk, possible situation and alternative options to help you plan your trip. Information will be given via phone, email to guests/ travel agents at soonest. Full refund will be made with suggestion of possible alternative options. 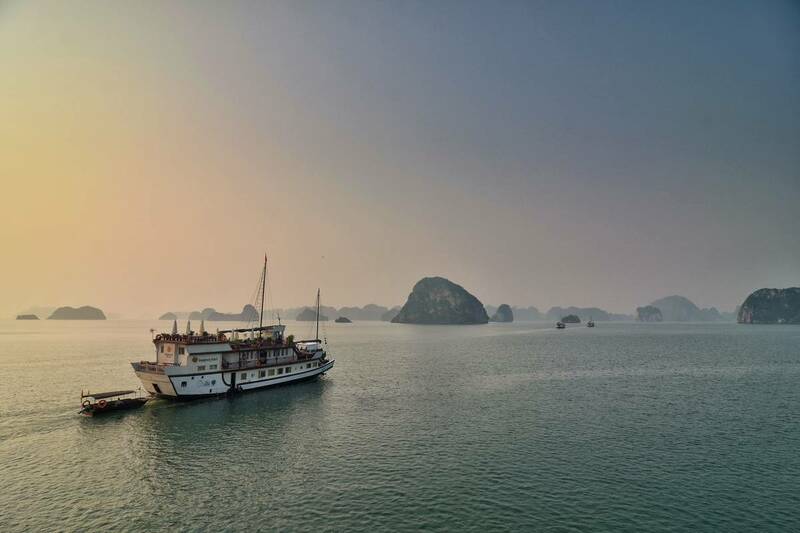 Cruise cancellation is informed when clients arrive at Halong, a day trip is permitted. Indochina Junk arranges lunch, day trip. Total: 90 (L’Amour), 80 (Prince I, Dragon Legend), 73 (Prince 2, Red Dragon), 68 (Dragon’s Pearl Junk). See below for details. 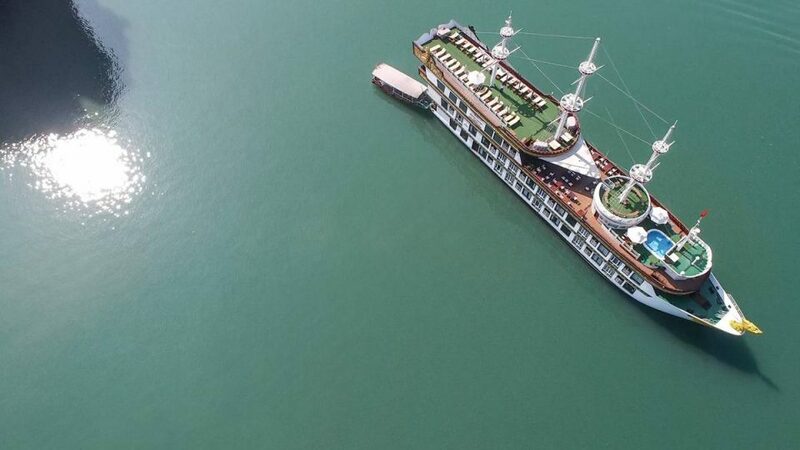 Cruise is cancelled and customer decides to stay in a hotel in Halong Bay after day cruise. Indochina Junk will arrange the suitable accommodation at additional charge, plus day cruise as listed above. Passengers using service with travel agents, please contact your travel agents for arrangement of alternative service, transportation and refund. In case of bad weather, the local authority might order cruising boat to get back harbor earlier than stated in itinerary; no refund will be given in this case. The weather becomes more unpredictable without any clear sign on weather forecast board of Vietnam or worldwide. The final information can be given at very last minute with many changes. In the event of bad weather, the programs are subject to change without prior notice. In the case of cruise cancellation, transportation back to Hanoi can only be arranged at late afternoon, expected time of arriving in Hanoi is 10:00 pm. The above price is applied in case of cruise cancellation and might be changed with communication to passengers.